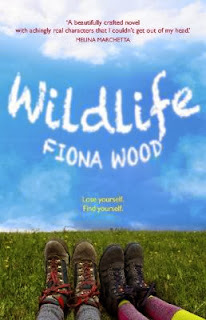 Told through the voices of Lou and Sibylla, this book explores all the intricacies of friendships and relationships and how to survive when you are thrown together at an outdoor education camp for a term. Lou, from “Six impossible things,” is grieving the death of Fred, her first love. Sent to a new school to try to overcome her grief, she keeps a journal of her thoughts and this journal records her observations of the other students at the camp, including Sibylla. Sibylla is a bit shy and unsure of herself but an unexpected modelling job has thrown her image into the limelight and now her friend Holly is pushing her towards a relationship with popular boy Ben. Lou can see that Holly’s influence is poisonous and,when Sibylla shuns her childhood friend Michael, this is the catalyst for Lou to step in and show Holly in her true light. A wonderful novel about being true to yourself and finding who your true friends are.